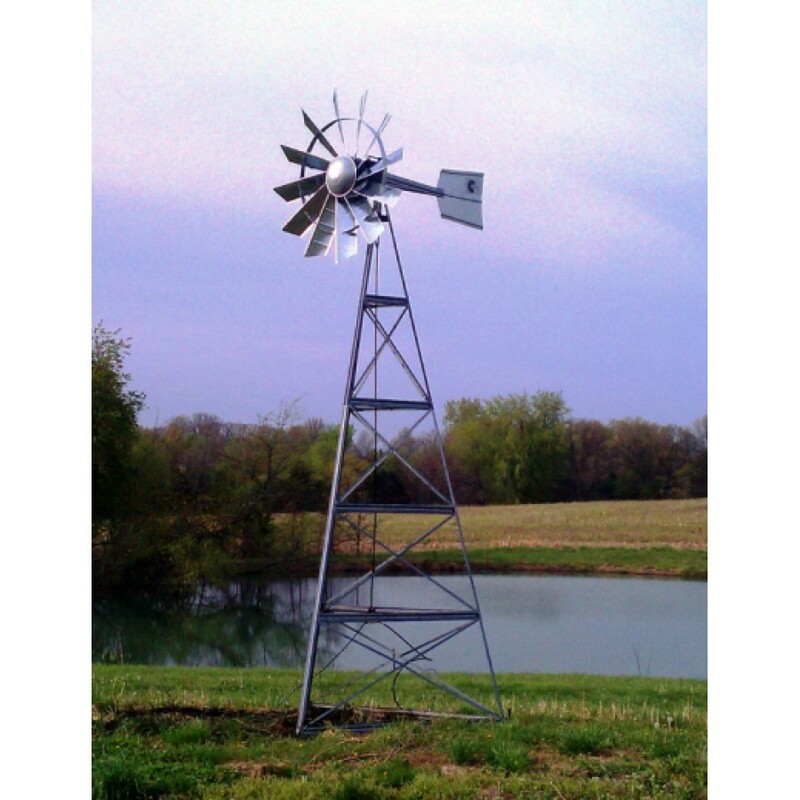 These Windmill Aeration Systems includes the tower, anchor pins, air compressor in fan head, Air Stone Diffuser and Foot Valve and 100 Ft of 1/2" reg. 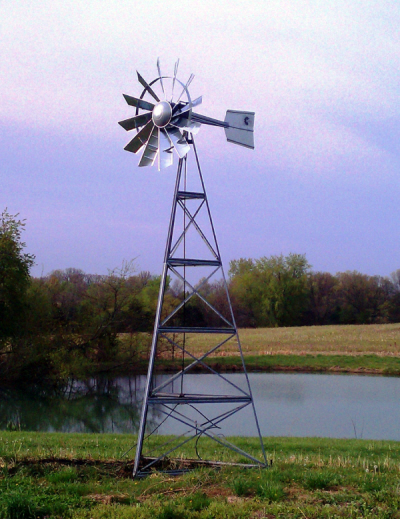 air line to run between the windmill head and the diffuser in the pond. 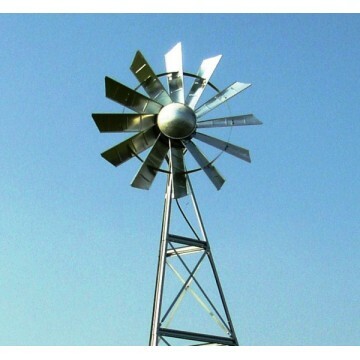 Standard windmill kit includes windmill, 100' regular airline and one airstone. 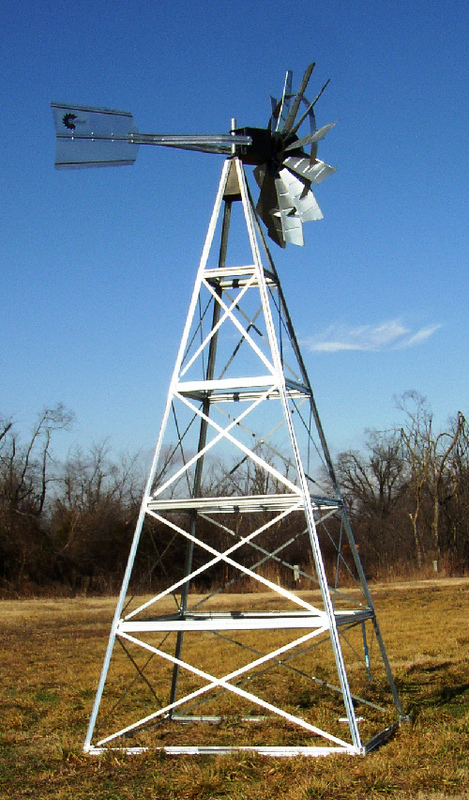 Deluxe model includes windmill, 100' regular airline, 200' of weighted airline, pivot pair hinges for easy lowering of tower, two airstones and selector valve, buckets to keep airstones off bottom and two duck decoys. Full 5 year warranty on bearing’s and cam’s! 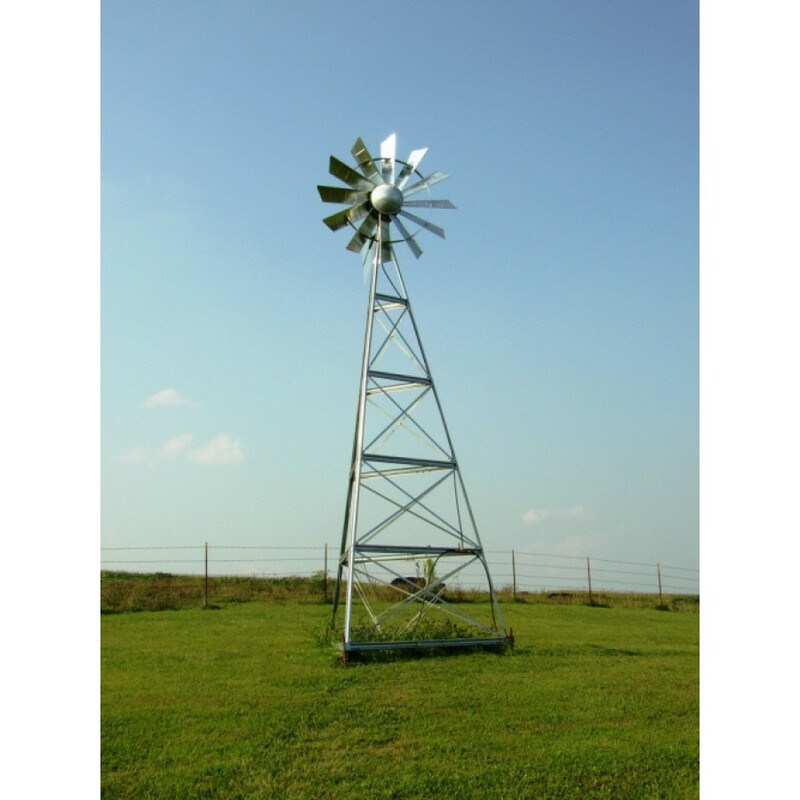 The 12 FT tower is our lowest tower height windmill - works well if you have no trees around. The windmill compressor and head is the same unit for all tower heights. The 20 FT tower produces 20% more wind at the elevated height compared to the lower height windmills. Other sizes available as well as options for powder coating and multiple diffusers and 24' towers. Contact us for details. The 4-legged 20' model is the same windmill compressor aeration system but has four legs instead of three.